For the first time in 4 years, I finally got to experience playoff hockey without having to drive 2+ hours away and live vicariously through other teams. And if the last two days are any indication, I want to do this for, oh, three more rounds, if possible. The series began Friday night on home ice, but it was the visitors who drew the first strike. Eric O’Dell would put the IceCaps up 1-0 4:29 into the first period. 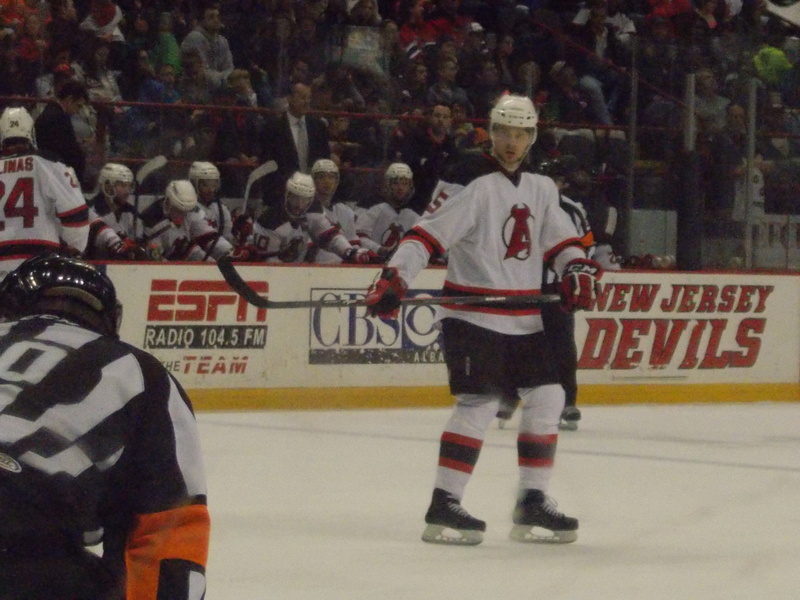 Albany would respond early in the second on a power play goal by Joe Whitney to tie things up at 1. It then turned into an offensive struggle as both teams locked in defensively and the intensity grew as the game carried into the third. And not to mention quite a few questionable calls from the referees (which is standard for Chris Brown, but more so now in the postseason). 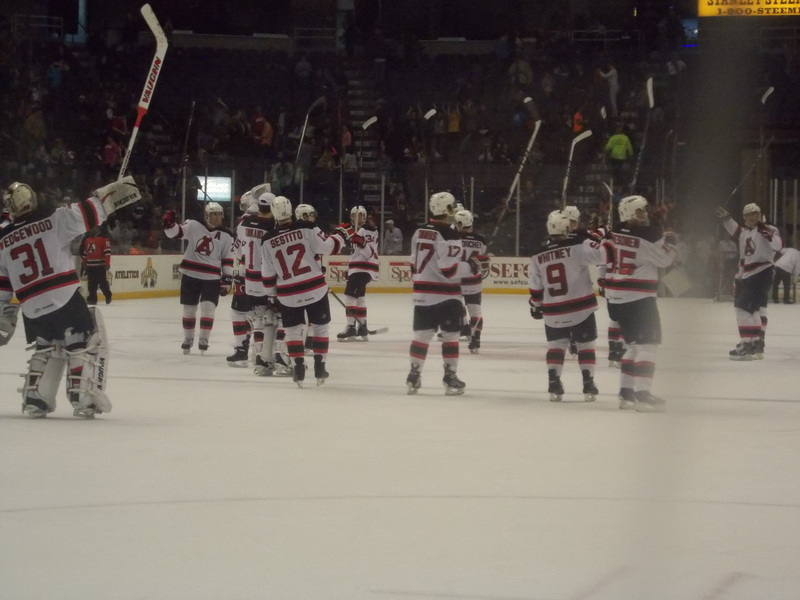 Just as all 6500 in the building were expecting the battle to carry over into overtime, Keith Kinkaid would misplay the puck by the net and Ben Chiarot would score with just 23.1 seconds left in the third period, giving St. John’s the win and a 1-0 series lead. Kinkaid stopped 30 of 32 shots in the loss. 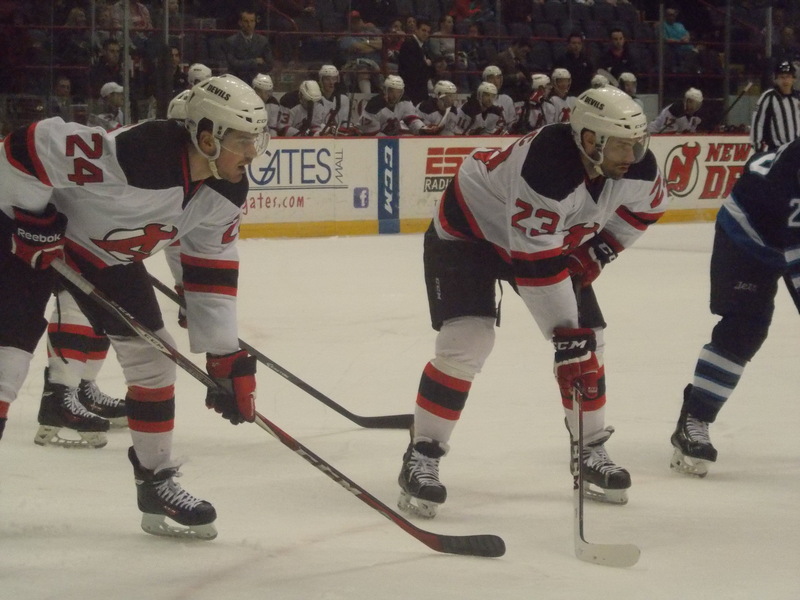 Jon Merrill and Mike Sislo had the lone assists. 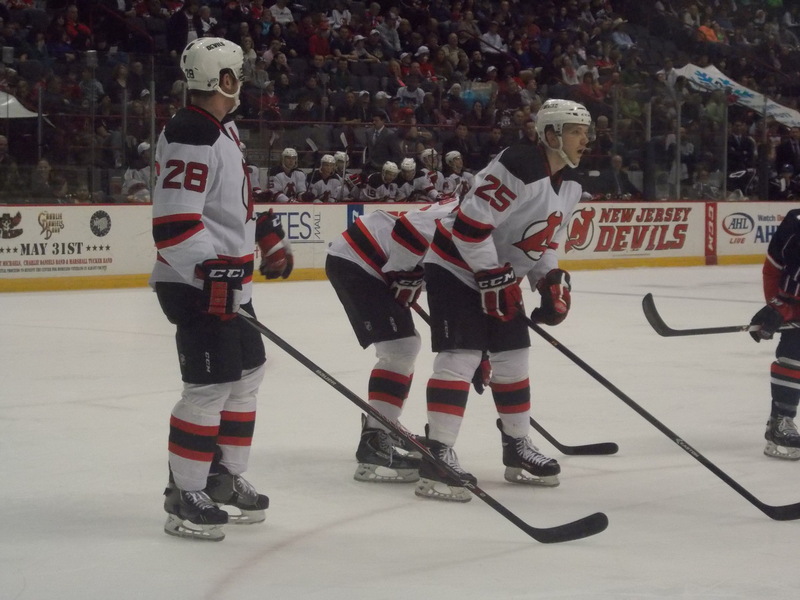 It was a quick turnaround for the Devils in Game 2, as they faced a virtual must win situation. Much like in Game 1, it was the IceCaps who got the early lead, this time from Brenden Kichton 10 minutes into the first period. But Reid Boucher would answer a minute later with his first postseason goal to tie the game at 1. 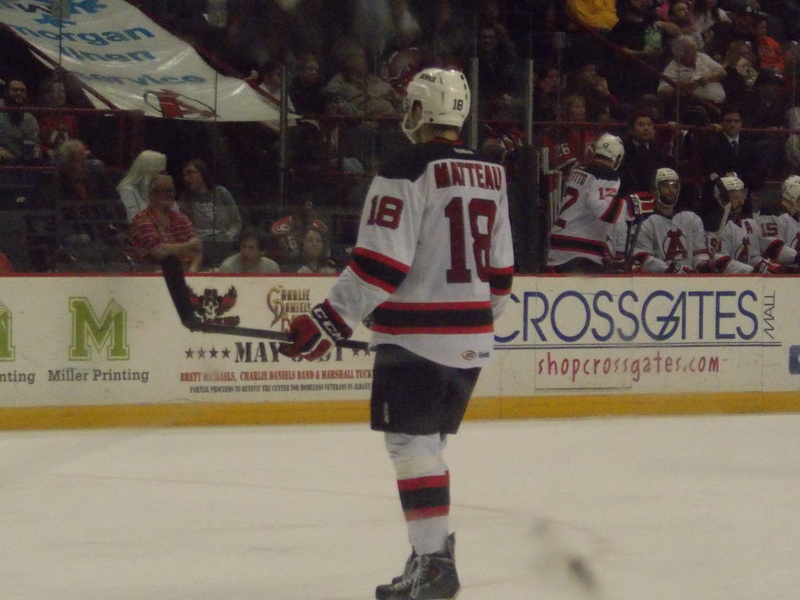 Stefan Matteau would then give Albany their first lead of the series with a power play goal late in the period for a 2-1 advantage. Kichton would tie the game at 2 on a power play goal early in the second. 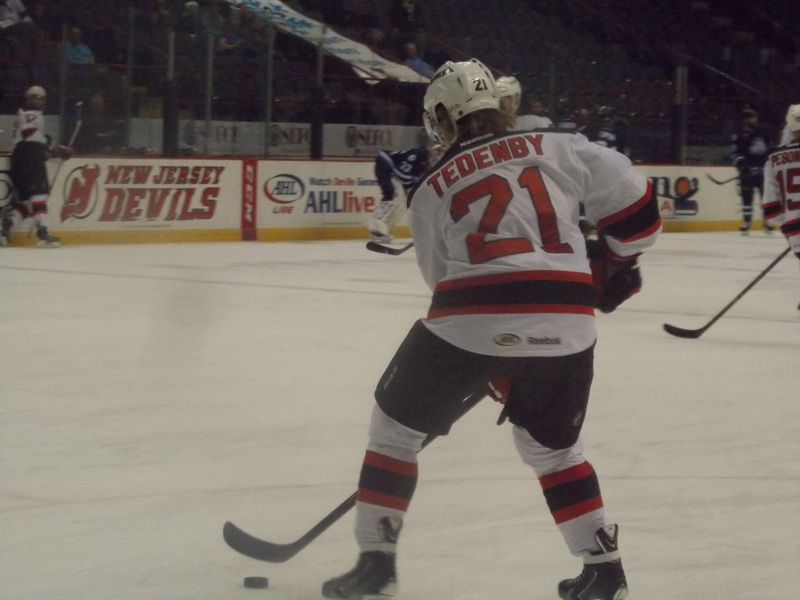 But less than 3 minutes later Mattias Tedenby would give the Devils the lead for good with a power play goal of his own. Scott Timmins would add an insurance power play marker halfway through the third to seal the win for Albany, and in the process tying the series up at 1 apiece. 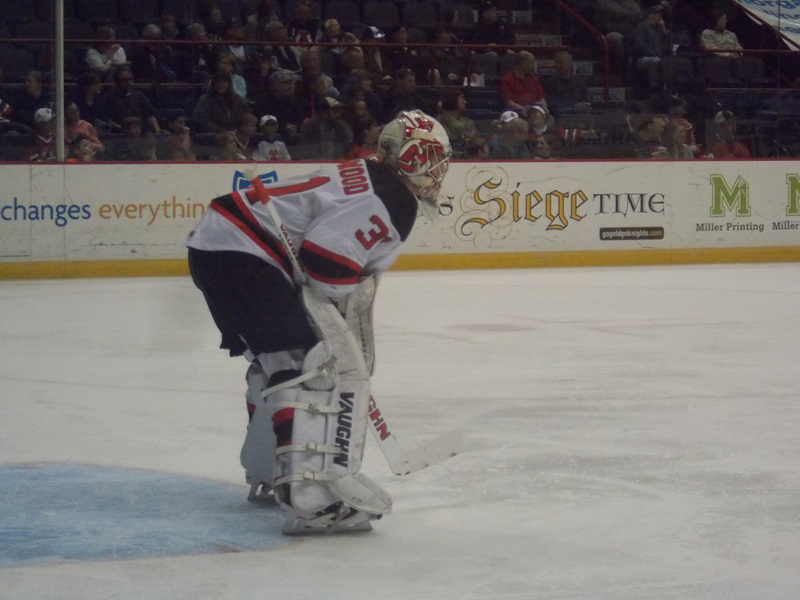 Keith Kinkaid got the start again and stopped 30 of 32 shots (that sounds like a pattern) and picked up #1 star honors. 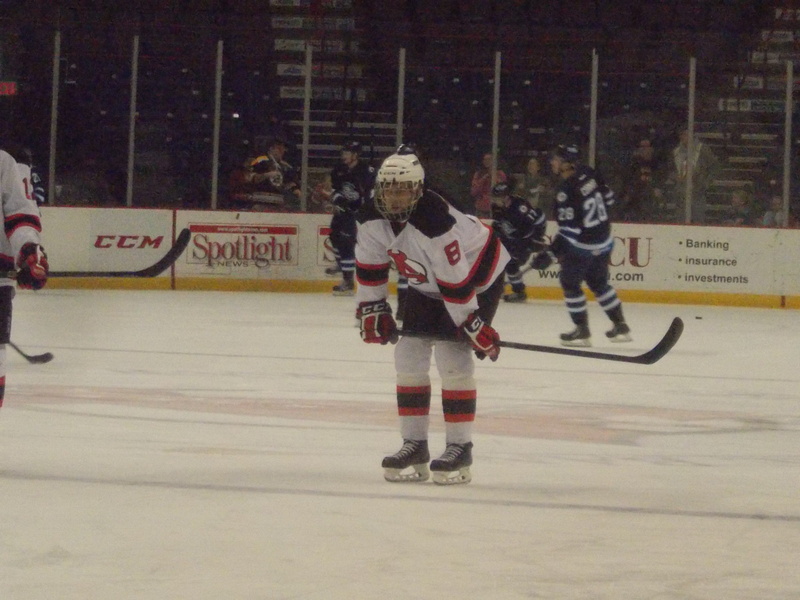 Kelly Zajac added two assists. And the power play finished at 3-for-9 (and there could have been more power play opportunities but the refs missed a few yet again). We could have our first team heading to the semifinals as early as Tuesday. The Solar Bears are not done yet. 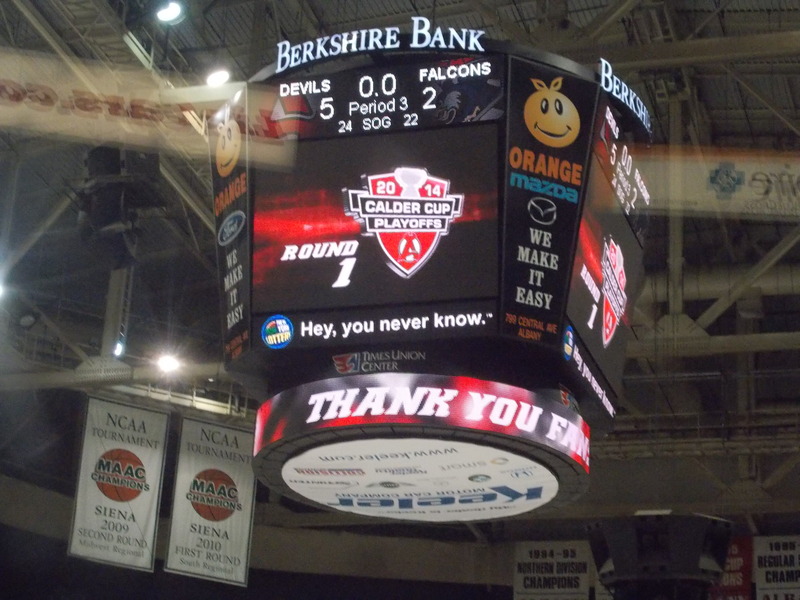 After falling 3-0 in their Kelly Cup Eastern Conference quarterfinal series vs. Cincinnati, they have won their last two to send the series back to Florida for Game 6 on Tuesday night. Maxime Clermont played a huge role in extending the series by shutting out the Cyclones 2-0 on Friday evening, stopping all 25 shots. He did not play in Saturday’s 3-2 overtime win. The series shifts 1600 miles to the northeast to Newfoundland. Game 3 comes on Wednesday night at the always sold out Mile One Centre, with a 6 PM EST start (reminder: NST is 1 and a half hours ahead). Game 4 follows on Friday evening, and if needed Game 5 on Saturday. I will not be around for Game 3 due to work, but will have tweets for Game 4 and if needed, Game 5. 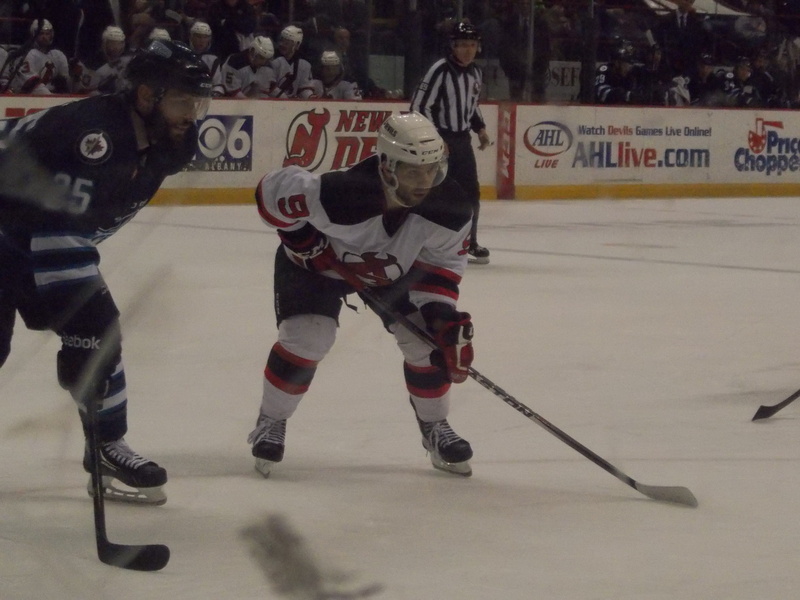 Where: Times Union Center, Albany, NY (Games 1 & 2); Mile One Centre, St. John’s, NFLD, Canada (Games 3-5). Game 1 at Albany: Friday, April 25th, 7:00 PM. Game 2 at Albany: Saturday, April 26th, 7:00 PM. Game 3 at St. John’s: Wednesday, April 30th, 7:30 PM NDT (6:00 PM EST). *Game 4 at St. John’s: Friday, May 2nd, 7:30 PM NDT (6:00 PM EST). *Game 5 at St. John’s: Saturday, May 3rd, 7:30 PM NDT (6:00 PM EST). The two teams did not meet during the regular season. St. John’s won the season series 3-1 during the 2012-13 season. Power Play: 18.1% (13th in AHL). Penalty Kill: 83.5% (9th). Goals For/Game: 3.39 (3rd). Goals Against/Game: 2.72 (10th). Leading Scorers (top 5): Jason Jaffray (59); Jerome Samson/Andrew Gordon (56); Kael Mouillierat (53); Brenden Kichton (48). Power Play: 16.2% (21st in AHL). Penalty Kill: 82.7% (14th). Goals For/Game: 2.89 (16th). Goals Against/Game: 2.54 (6th). I am no good at seeing how things will play out, especially with a team I did not see during the regular season. But what I can say is, if the Devils want to advance to the second round (and they can do it), no worse than a 1-1 split on home ice (which, yes, is pretty obvious). And the defense needs to keep the third best offense in the league at bay, which they have the ability to do. And it doesn’t hurt that they come in riding a 5 game winning streak. If they can play like they did during those five games, big things will happen. I’m not expecting a 3-0 sweep from either side, but if you had to twist my arm…I’ll say Albany in 4. But I also would not be surprised to see this go all 5 games. 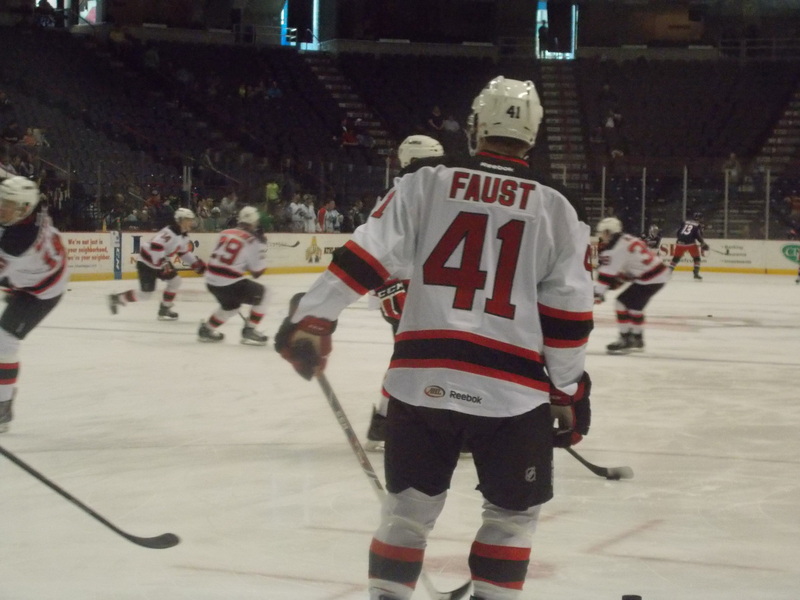 -Per the AHL transactions, Joe Faust was released from his amateur tryout on Monday. He joined the team on April 8th but never appeared in a game, only warming up before Saturday’s finale against the Falcons. -But, in much happier news, Graham Black was signed to an entry level contract. 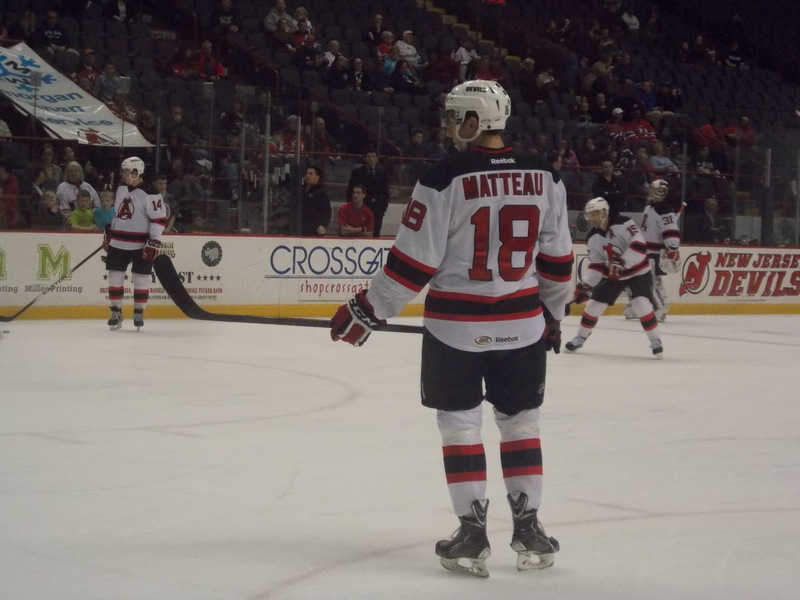 He appeared in two games for Albany since arriving as an amateur tryout on April 8th, going scoreless. 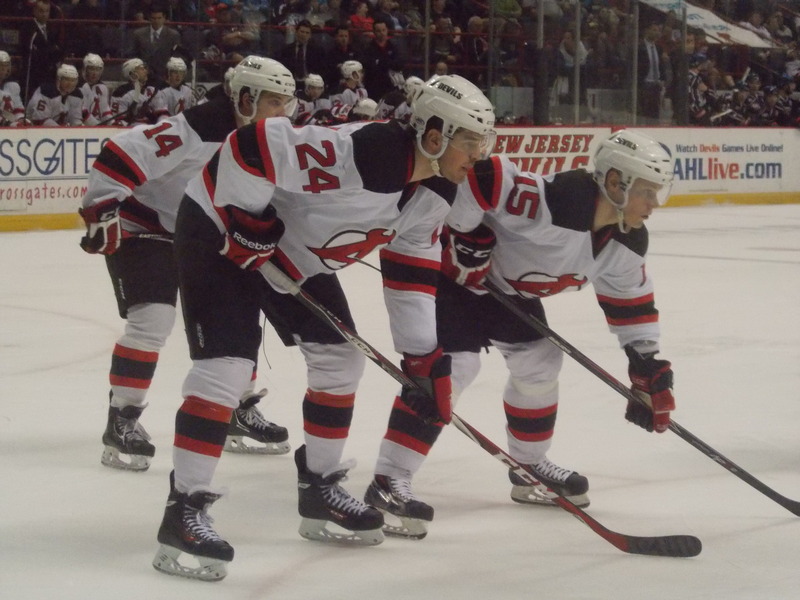 A Devils preview from The Hockey Writers. Also from THW…a trip down River Rats memory lane. 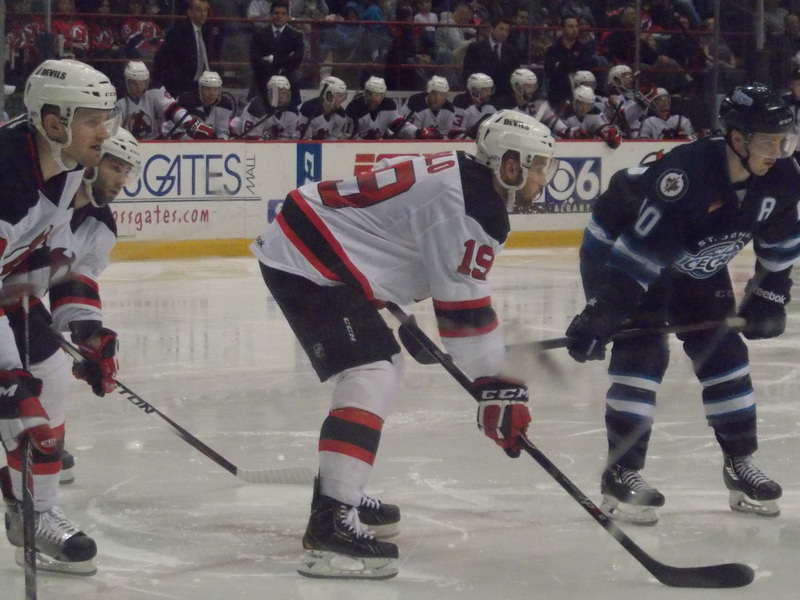 My blogging counterpart in St. John’s, Rinkside Report, has their preview. And check out this week’s episode of Talking Red, not just because I make my annual guest segment. -My official preview (well, more of a stat pack than anything) will be out Friday at 12 noon. Welcome to Part 1, Final Regular Season Stats for the 2013-14 season. A playoff version (part 1A, if you will) will follow upon conclusion of the playoff run, whenever that is (hopefully not anytime soon). Record: 40-23-5-8, 93 points. Home: 24-9-3-2. Road: 16-14-2-6. Full listing of individual stats: Skaters. Goalies. Record: 40-23-5-8, 2nd in Northeast Division, 5th in Eastern Conference, 10th overall. Penalty Minutes: 1,045 minutes for an average of 13.75 per game. 25th. Shorthanded Goals: 7, tied for 8th. As always, I used the same categories as the last three seasons. Looking back over those three seasons to now, I’ve noticed that every year the points total has improved, from the low-mid 70s the last three years to a new high of 93 this season. They added 9 wins over last season’s record and reduced losses by 9 (not including 4 shootout losses). Goaltending and defense have steadily improved, dropping a full goal per game since 2010-11 (from 3.54 to 2.54 this season), while the offense has gone from 2.5 goals per game to almost 3 goals this season. Special teams also have seen more success as well. The penalty kill has gone from dead last in 2010-11, at 77.1%, to 82.7% percent this season. After a horrid power play last season at an 11.3 percent success rate, they improved by 5 percent this year to 16.2. Another category of improvement would be in the penalty department. The first season saw an average of 24 minutes per game (well, when you have Louis Robitaille and PL3 on the same team, what do you expect? ), now nearly 11 minutes less per game at 13.75. It seems every year the team is becoming more disciplined on the ice, and although there are some stupid penalties that still come up here and there, it’s not hurting the team in the long run. Parts 2 and 3 are coming soon, I may hold off on those until after the playoff run ends. Joe Faust got to warmup…but this was the closest he got to playing. 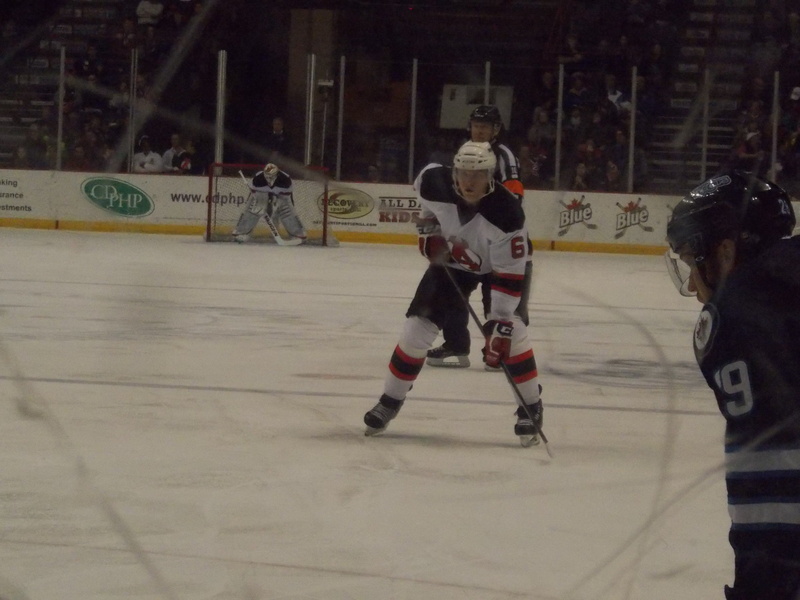 Author icepuddlePosted on April 20, 2014 Tags ECHL, Game Recap, Playoffs, Roster MovesLeave a comment on Not Done Yet.